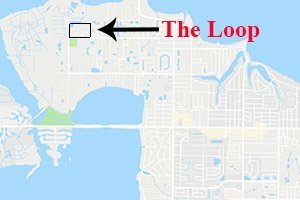 The Loop of Northwest Bradenton is an upscale community in the northeast quadrant of 17th Avenue NW and 96th Street NW. 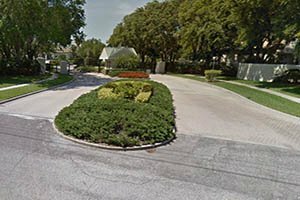 Its area is amongst neighborhoods of equally well-developed communities, which greatly enrich the stock of Bradenton homes for sale. Within the locality too are the new development of Tides End by Neal Communities, which is just across the street south of the Loop, and the bigger subdivision of Wisteria Park to its east. Two of Bradenton’s iconic nature preserves are nearby the Loop and its neighboring residential developments. This community is wedged on the northeastern part of the 487-acre Robinson Preserve, while the 10-acre Palma Sola Botanical Park spreads just south of the homes for sale in The Loop. The Loop’s acreage is a gated enclave which is secured 24/7. The community’s landscaping mimics the lushness and tranquility of both its neighboring nature preserve and botanical park. The northern part of this community also features a large lake which serves as a serene backdrop for its choice residences. The residences in the Loop is comprised of 50 single family homes, most of which occupy lots of a quarter of an acre in size. Many of these dwellings’ sites are on cul-de-sacs that branch from the community’s looping main internal street—18th Avenue Circle NW— the layout from which the Loop neighborhood derived its identity. This community boasts builds by a Bradenton-based contractor, Cali Homes, which brought nearly 40 years of industry experience in the construction of homes for sale in the Loop of Northwest Bradenton. 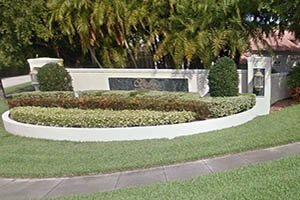 The residential choices in the community include updated and well-kept executive homes, charming Mediterranean-style houses, and custom-built residences with contemporary designs. Most of the Loop’s homes were constructed between the late 1990s and the early 2000s, but there are some fairly new residences as well, with the community build out completed in 2013. Available properties in the Loop are generally priced starting from the $600s up to the $800s. These are typical price quotes for residences with floor areas in the 3,000-square-foot range square feet featuring four bedrooms and three baths. The asking prices increases to the $1-million-plus mark for homes flaunting floor spaces of between 4,300 and 5,250 square feet designed with up to five bedrooms and three to four baths. The Loop’s listings in the MLS of Bradenton homes for sale come few and far between, because of the limited properties in the community, and its homes are often kept by their owners for the long term. Loop residents are inclined to grow their roots in this community, as its neighborhood is the epitome of high quality living. Their neighboring Robinson Preserve alone provides plenty of outdoor recreational facilities for local residents and visitors to enjoy. These attractions include bike trails, a canopy walk, viewing mound, kayak/canoe launch, and paddling trails. The Loop’s location is likewise prized for its accessibility to the Gulf Coast beaches, retail centers, and venues for entertainment, arts and culture activities. Below are the current real estate listings available in The Loop.